Skin Care Pleasure Point is a gem of a small business that brings beauty to the faces in our neighborhood. They are a woman owned small business featuring only organic products and the absolute best in full service skin care. 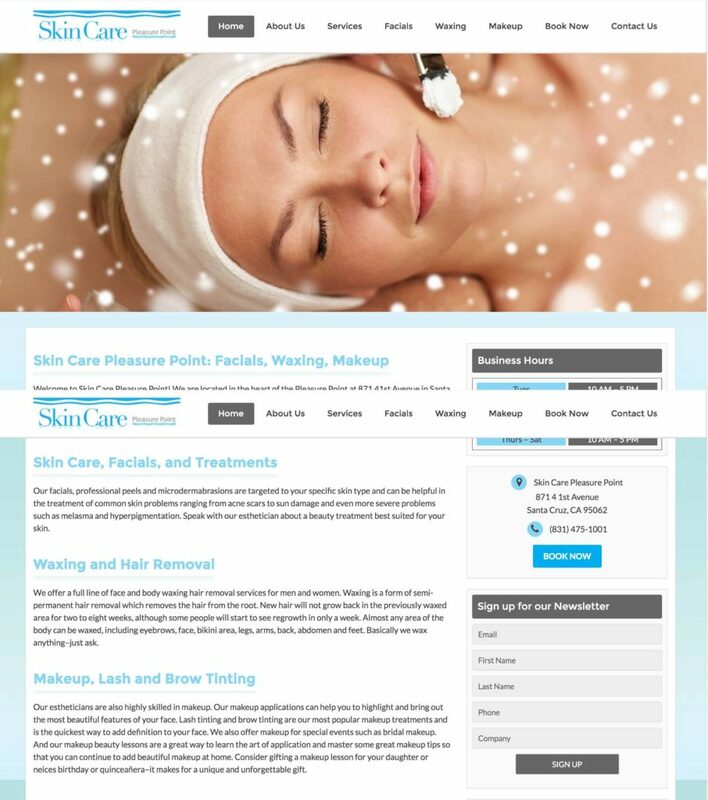 They make our face look beautiful, we rebuilt their website into something equally pretty. We also take care of all the rest of their digital business needs, as well as plan special marketing and promotional events.